The title of Alden Richards and Kathryn Bernardo's movie is out! The two took to Instagram earlier to share the poster of their first film together, Hello, Love, Goodbye, which had netizens going nuts in March. It will also be their first big project without their love team partners, Maine Mendoza and Daniel Padilla, and fans are even starting to refer to them as "KathDen." The film will be under Star Cinema, directed by Cathy Garcia-Molina, who has worked with Kathryn before for her movie with Daniel, The Hows Of Us. What we know so far about Hello Love Goodbye is that it features the story of young Overseas Filipino Workers (OFWs) in Hong Kong. Maymay Entrata has been confirmed to be part of the cast, and she'll be joining Alden and Kathryn this April in HK for three weeks to shoot the movie. Alden and Kathryn couldn't help but share their excitement for the collaboration, and also expressed their hope that their fans keep an open mind about their pairing. 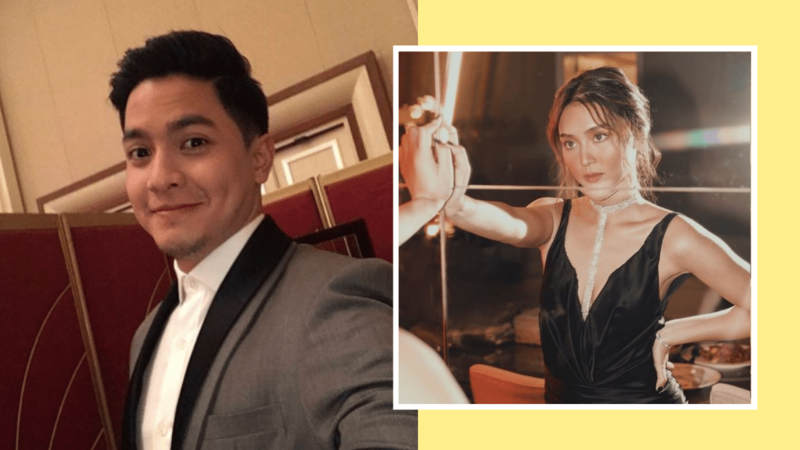 It looks like the two have already developed a rapport, with Alden even surprising his new leading lady during her birthday in March. We're looking forward to learning more about Hello, Love, Goodbye in the coming months!